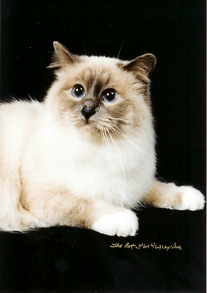 The Pet Furtographer Laura Long-Edwards is a freelance photographer. She takes pictures of pets, family, weddings, bridals, engagement, special events and road trips. She never leaves home without her camera in hand. She is the owner and photographer of a company called The Pet Furtographer. They have specialized in pets since 1976. Actually, her mother Linda Long started the business as a hobby. Laura poses the animals for photos and thinks of new themes and creates all sizes of costumes for every holiday, especially for Christmas cards. They started the business because of their Basset Hound that hated her picture to be taken. They figure everyone else must have the same problems of getting good pictures of their four legged furry kids. They started taking pictures at pet stores, groom salons, vets, dog and cat shows in DFW area. And they do private shoots in peoples home or their home studio. Linda taught her daughter Laura everything about photography and dark room. Linda has always been in photography business. As a pet photographer, she was recognized in many newspapers, TV news, PM Magazine and other media of being the best pet photographer in DFW area. 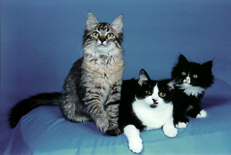 She took pictures for front covers of Cat Fancy Magazine, Dog Fancy Magazine and other pet magazines. She was instructor for a few colleges in the metroplex, which was award teacher of the year numerous times. Linda worked for advertising companies, Houston Reporter and freelance photographer for different events. Linda passed away in March 2000 and Laura her daughter, has taken over the business completely for the last 8 yrs. You cant tell Lauras work from her mothers. Laura has learned from the very best.